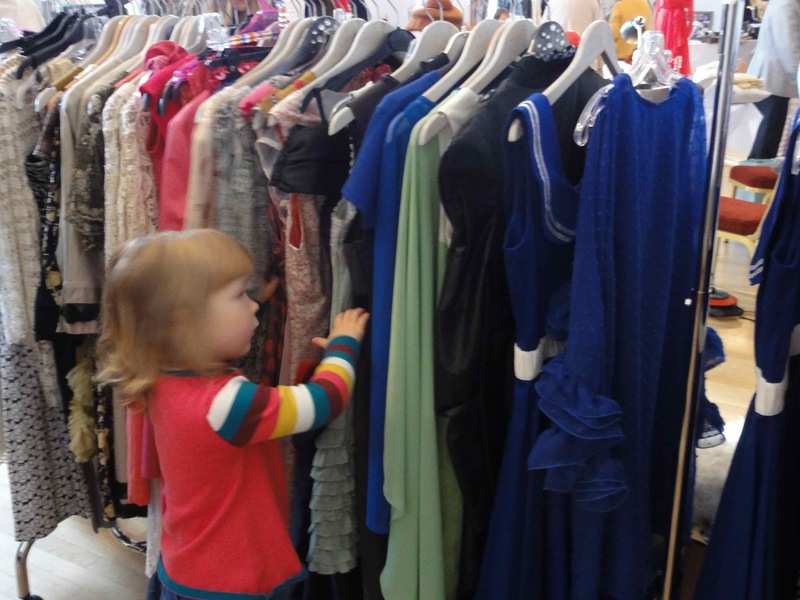 I think the FrOctober bug has got me as the dress wearing has continued into November. Today I decided to wear one of my favourite little black dresses, one that I have only ever worn at night-time before. 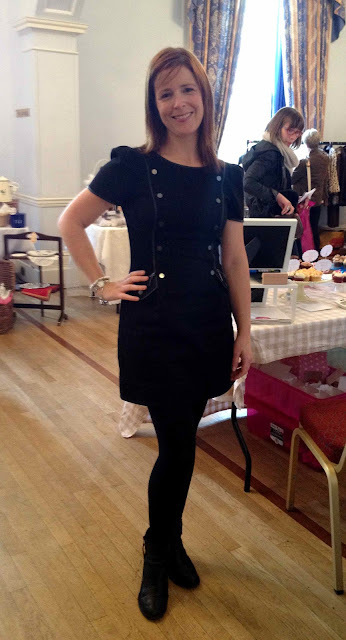 It's quite a cosy dress, with pleather and studded detail so why not wear during the day I thought? Also, I was going to Frock Around The Clock Vintage Fair in Belfast so it would be wrong not to wear a dress..
What a gorgeous setting for the Vintage Fair - the beautiful Malone House. We parked at my sister in law's house and walked up to the house through Barnett's Demense, kicking autumn leaves all the way - such a gorgeous morning! 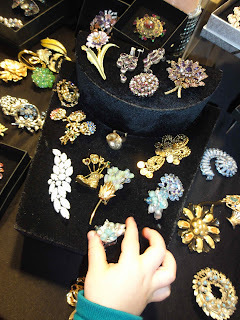 I'm not a big vintage buyer but I ADORE looking at the jewellery. 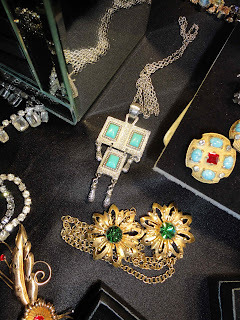 The first stall we visited was Strictly Vintage, which sources all its jewels from the US. 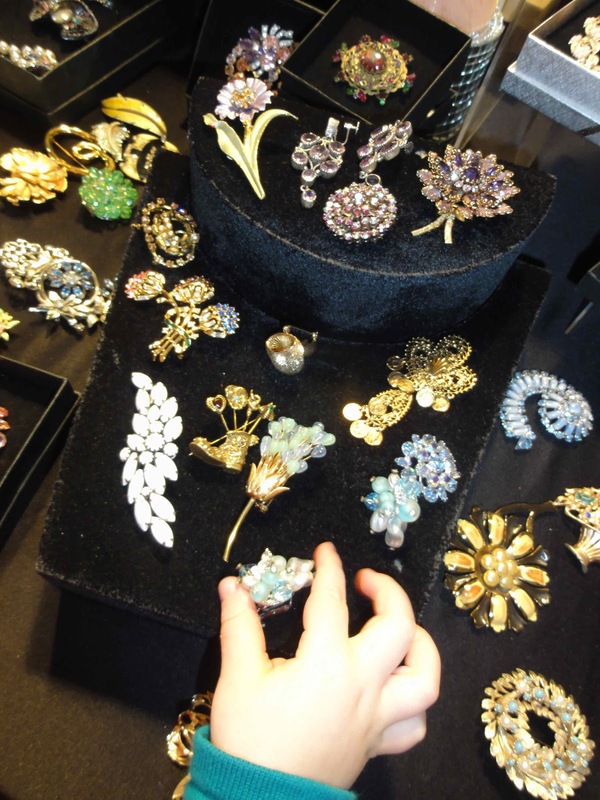 Stunning selection - the girls couldn't keep their hands off it! All available from Strictly Vintage - Check their Facebook Page for more information! The apple doesn't fall far…. 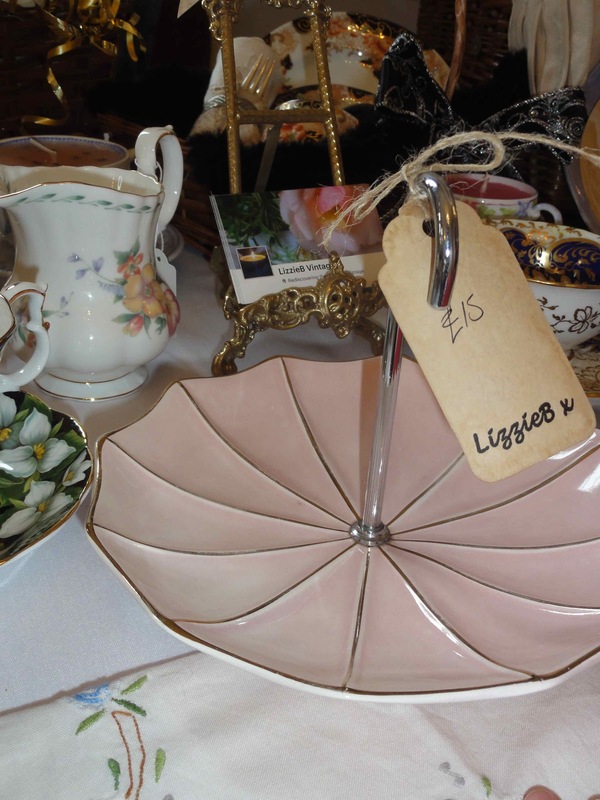 Finally, I caught up with Janice at LizzieB Vintage - who sells gorgeous vintage china and accessories. 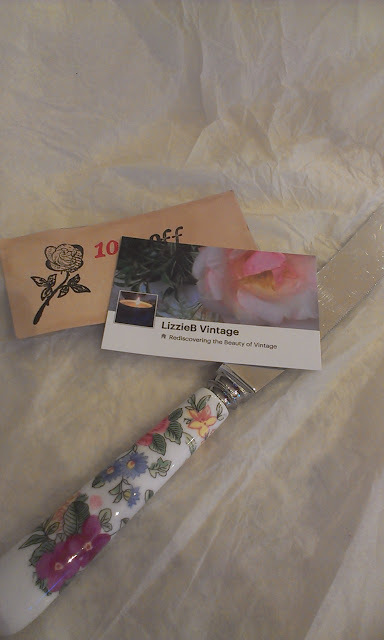 I had been looking for a cake knife for my mother in law and spotted one on Janice's Facebook page. Really pleased with my purchase and my 10% of coupon for my next purchase! 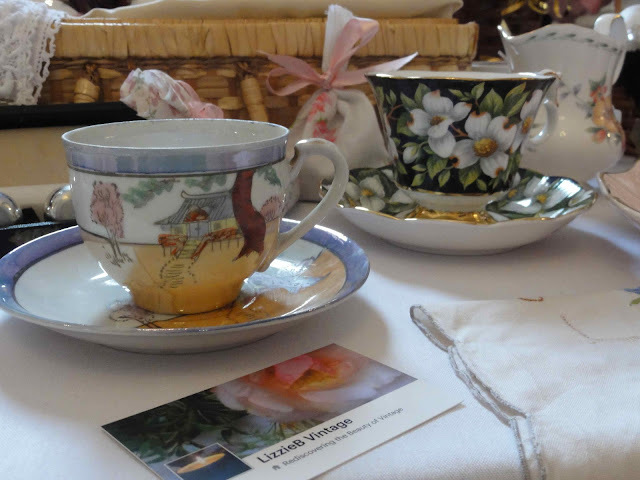 Here are some other items LizzieB sells via her Facebook page..
All in all, a gorgeous setting for a lovely day out. 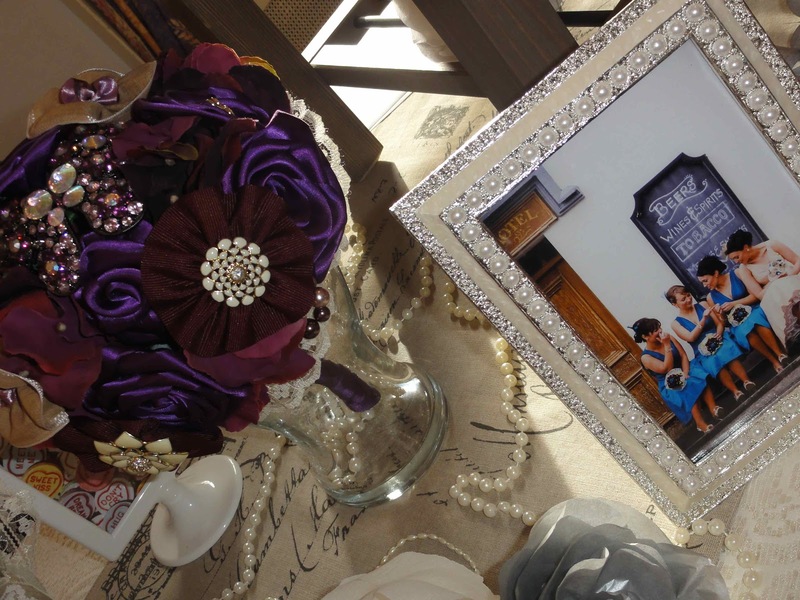 Lots of inspiration for brides too - I almost wished I was planning it all again (almost). The next Frock Around The Clock is on the 2nd December in Cookstown. Full details on this link! Thanks to Rebecca and the team behind Frock Around The Clock for the invitation to come along today. I really enjoyed it and can't wait for the next one! Is this the new camera coming in to play? If it is - it's making a difference to the sharpness of the pictures - fantastic! 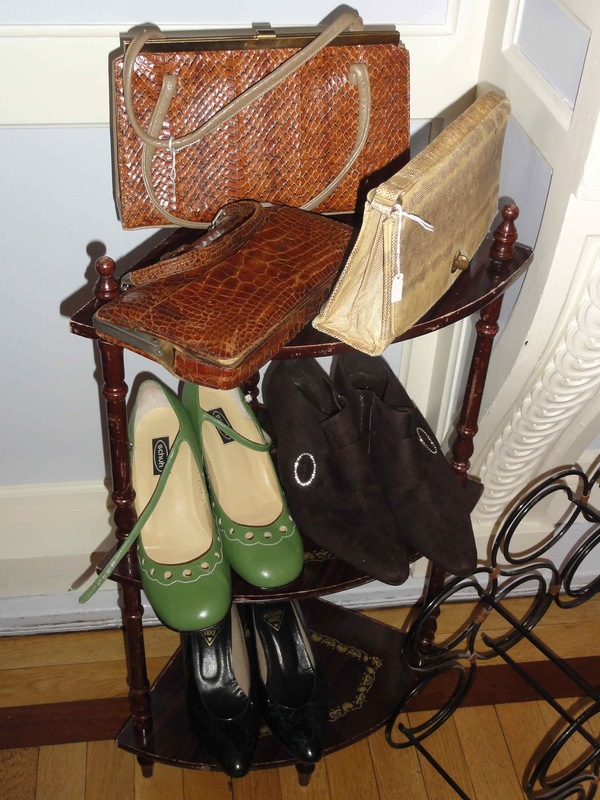 And get you - your hemlines are getting shorter and why not indeed! 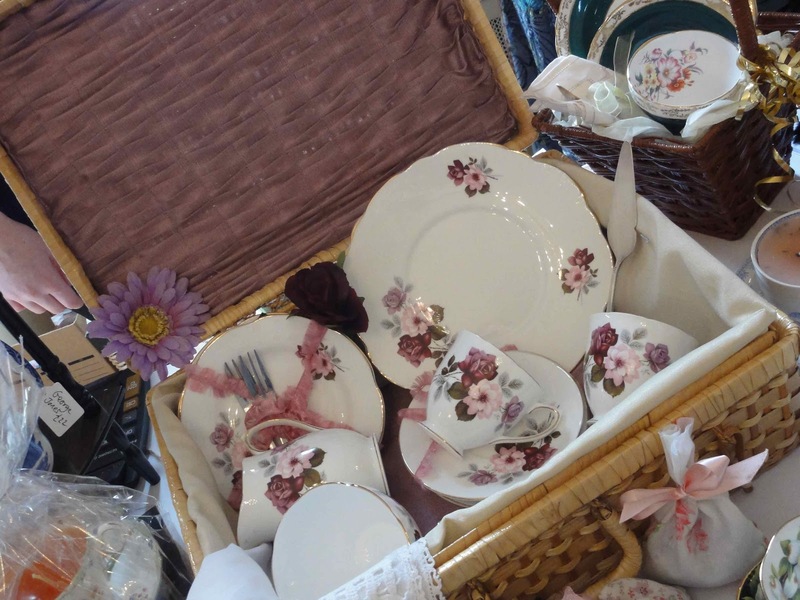 I used to love browsing vintage fairs - I used to visit one every week when I was a teenager and I still have some of my little purchases from way back. So you came home with nothing then? I have never been to a vintage fair and I can see I am missing out! 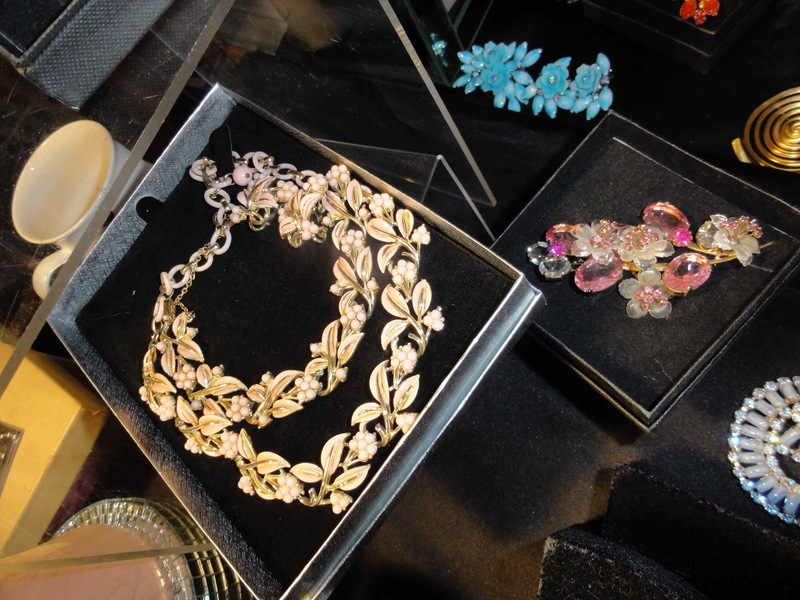 Mind you I would want to buy all the jewellery and china, so many gorgeous pieces! Your dress looks lovely for a day dress too. What a treasure trove at the fair. Really cute dress. Love the bridal brooch bouquet .. why weren't they around when we were brides to be?! The black dress is lovely on you, you look so skinny! 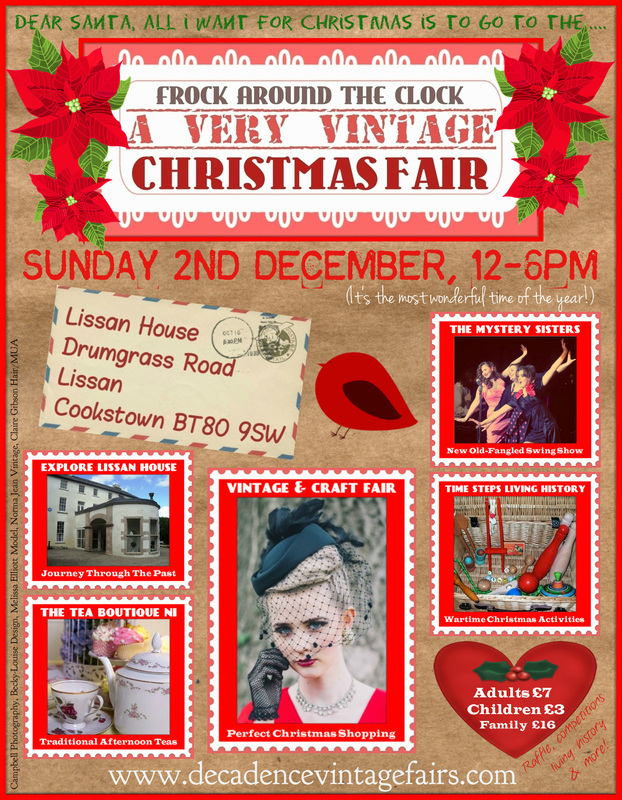 The next vintage fair is quite close to me so I'll definately have to check it out. 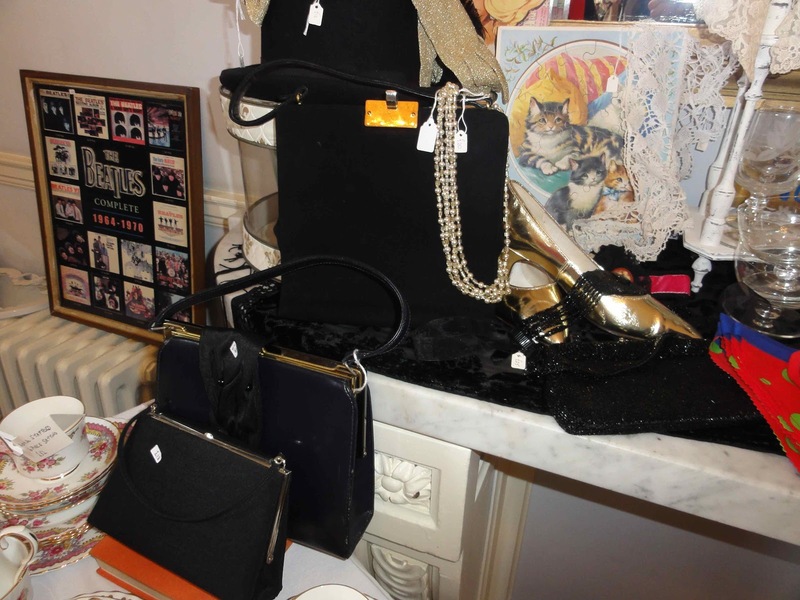 Love the look of the vintage fair and love your black dress too. Looking great Avril ! Oh please this is wonderland, I love vintage fairs, can't have enough of them!! OMG!! This is paradise!! 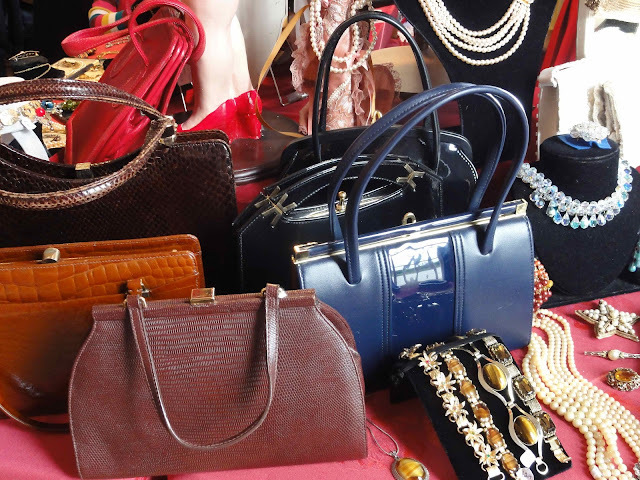 I'm travelling to London next week (from 15th to 19th).Do you know any vintage fair or shop(s) worth to visit?? So many beautiful things and I love the dress on you! Those bags remind me so much of my Nana! 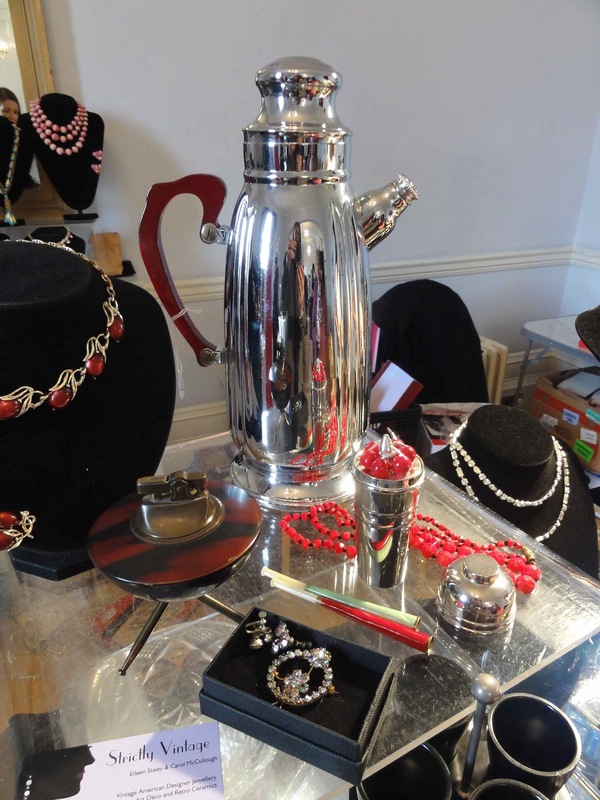 That looks like a fantastic vintage fair - off to one in Wolverhampton next month - hope it's as good as this one.